Posted on Wednesday, July 1st, 2015 at 4:13 am. It was a really good fight as we thought it would be but Bradley controlled the action for the majority of the fight. The final seconds saw some drama when the referee thought he heard the final bell which in essence was the 10 second warning. Bradley was hurt by Vargas just seconds earlier and almost went down. Almost doesn’t count and Bradley went on to win by unanimous decision and a winning pick for us. This weekend is fourth of July weekend in the United States so it is a very light schedule in boxing. 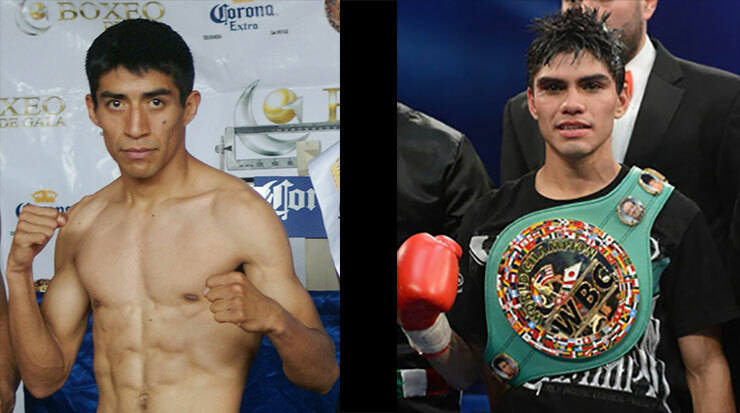 We have a chosen a world title fight in Mexico Saturday night. It will feature WBC Light flyweight champion Pedro Guevara (25-1-1, 17KOs) making his second title defense against world ranked Mexican countryman veteran Ganigan Lopez (21-1,14KOs). The fight will take place in the hometown of Guevara in Mazatlan, Sinaloa, Mexico. Lopez is a 12 year veteran. His style is more of a boxer than puncher. He is a southpaw but not a slick one as he is hittable which has made some of his fights close whether in his favor of winning or losing by decision. This will be his first world title fight but he has defeated former world champions before or after they were champions. He will come ready to fight for sure knowing this could be his last chance at a world title. Guevara is just 27 years old but already has had to rebound in his career. In his first world title fight which took place in his hometown he lost by split decision to then champion John Riel Casimero of the Philippines nearly three years ago. It was a tough loss but afterwards he reeled off some wins over the course of a few years. He was then again ready to challenge for a world title. This time he would travel to Japan to challenge the hometown WBC light flyweight champion Akira Yaegashi. It was a closely contested contest until Guevara ended matters abruptly by KO in round 7 with a body shot to win the world title. This is a tough matchup to pick. Guevara seems to be in close fights even though he has only lost once. The same can be said for Ganigan though he has more losses. Each fighter has multiple opponents in common with similar outcomes. Neither guy is a huge puncher but Ganigan has been stopped inside the distance once. Ganigan is 33 years old considered a bit up there for this weight class but he is still competing and winning at a high level so were not considering that factor. Guevara is fighting at home and were going to pick him to win in a competitive fight. Disclaimer: Boxing360’s Pick of the week is strictly for entertainment purposes only.